In the current business world, software existence is a must-have. It is no longer considered a frill. Consumers are moving, ever so swiftly, to maximum or complete reliance on technology. Every business, therefore, is either in the process of developing or thinking about developing their own software. It is not very uncommon, in today’s digital world, to hear about software projects turning out to be averagely executed or worse, to have failed. The reasons for this are many. Over budgeting, delayed timelines, missing functions and poor quality execution are just a few examples. Another disastrous occurrence could be that a project falls through in the development phase and never sees the light of day. Even if the most avant-garde technologies are being used, such as AI Solutions, Machine Learning, Predictive Analytics, and Business Intelligence, a poor development strategy can almost completely damage a software development project. To safeguard against the many risks associated with software project development, we have laid out a series of strategies and best practices that will go a long way in ensuring the build-up of a high quality and extremely functional software. The first order of business is to create a vision. Analyse your current business, its goals and requirements to achieve that goal. Undertake an analysis that will provide you with the learning of what needs to be accomplished from building the software. This learning then needs to be transferred to the developers to create a holistic team that is working towards the same end result. Developers need to be talented and empowered with the required skills and relevant experience to execute the project with maximum proficiency. Allocation of resources is a crucial element and prerequisite that defines the success of the project. Learning your business model, validating requirements, going deep into subject matter expertise, and thinking innovative to put down thinks at detail. The overall design should be vision that every developer on the job sees clearly and coherently. Your software design is the life blood of your project. It should be visually appeasing, and embedded with features that make it user-centric and fairly easy to use. The approved design should be highly optimized for the output of a robust product. This level of functionality is the defining factor that can decide the fate of the project. Creating an approach that is focused on the final output is a trick that most developers use, in assisting a united and clear vision among the team of developers and increases cohesion, while avoiding coupling. Reusing of codes is another strategy that is often overlooked, but one that comes with a high guarantee for success and reduced costs. The systems architect should finally ensue that the architecture of the software is created with every requirement and limitation in mind. Identification of threats, at an early stage, is an excellent approach that must be actioned. Once the team of developers have been carefully selected based on their talent and experience and the design is ready for execution, the development phase is ready to be embarked upon. The lifecycle of development is reliant on the process that is chosen. The compliance driven development model that follows the process of compliances and is a proven methodology that guarantees success. Another popular strategy is the testing driven development of small modules and continual integration are key strategies that must be adopted. 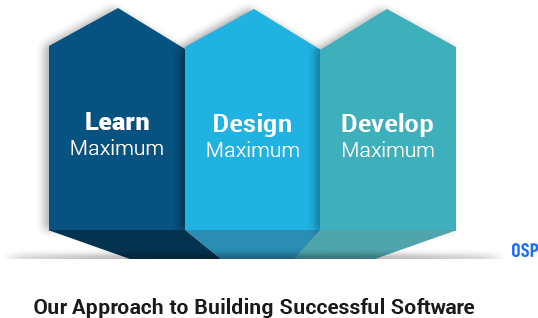 There are many strategies that can effectively increase the successful completion of software development, without compromising on quality. A strategic assessment of the size of the team of developers, with a careful balance between requirement and cost is one such approach. Increasing skill level and decreasing complexities is a further enhancement. Regular testing and consistent integration will go a long way in saving delays. With sound estimations and by following the above mentioned strategy of learn, design and develop, the speed to market is significantly enhanced and adhered. The functionality of the software should be guided by the customer as the central point of focus. Every feature of the software should be developed keeping the customer’s knowledge, relationship, requirements and feedback in mind. Demographics of the customer and the cultural currents need to be assessed as well. This includes the customer identity, their characteristics, location and experience and the manner in which this will affect the success of the software being developed. Important tricks of the trade are to keep your ear to the ground, constantly seek customer-centric inputs, and innovate with the customer as your priority. Workforce engagement is an essential tool through the planning and development phase. A lack of engagement results in decreased work satisfaction and has a direct impact on productivity and final output. Short iterations, fewer meetings, pair programming, encouraged independence, prioritized treatment, test-driven development, set schedules and constructive feedback are all effective ways to keep your workforce engaged. The right talent and skills required for your project are specific and should be recruited with this specificity in mind. This is a vital element to building software successfully. Another important aspect is the right allocation to the right developer. Identify the individual strengths of members in the team and allocate accordingly. Additionally, investing in the right tools to increase team productivity is critical. The process adopted will directly affect the development life-cycle, through the incorporation of models, methods, approaches, etc. Keep all these factors project-specific and gauge feasibility in advance. When embarking on setting timelines, estimations should be carefully made keeping in mind budgets, resources and efforts. Requirements, timelines, milestones, and objectives should be clearly communicated across the team. Once the design has been approved, the actual process of creating the software begins. This is where implementation and execution strategies are applied and talent is revealed. Once the product has been developed, it is time to implement it in the real world. Routine and rigorous testing is an essential prerequisite that will safeguard from any fall backs later. An analysis of the customer and user’s requirements and interests will go a long way in answering this question. Once the software design is laid out, it is imperative to envision the finished product and critically analyse it from a usability point of view and ensure that it offers a unique advantage. Is this a feasible project? The best way to answer this question is by building a small prototype of the finished product to assess the feasibility of the project. All expenses must be carefully factored and weighed against the benefits that the software will bring. Every technology that is on the list of incorporations should be reviewed from a strict requirement point of view. 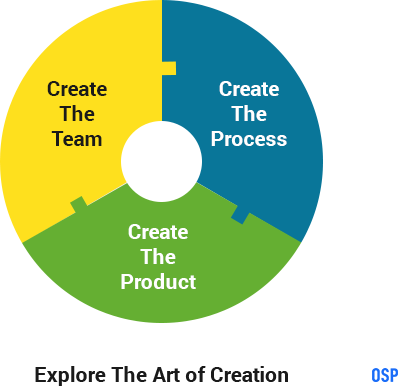 Is the development process agile? Allocate a sufficient amount of time to the establishment of a process before actual execution begins. The process will go a long way in defining timelines, expectations, models, technology adoptions and resource allocation. The details of the programming are also set during the development of the process. Is this software viable for my business? Between the completion of the planning phase and before the beginning of the execution, it is imperative that the software is viewed and analysed in terms of the benefit it will bring to the business. The benefit must justify the cost and effort that goes into building the software. A fair amount of research and development is a mandatory precedent to the execution phase. Finally, there should be surveys and experiments that should back the analysis and justification of the development. PCI – The Payment Card Industry Data Security Standard (PCI DSS) is applicable to a company or business of any size that is accepting credit card payments. If your software is designed to accept card payments and execute credit card transactions, and store, process and transmit cardholder data, it is mandatory that you host your data securely with a PCI compliant hosting provider. HIPAA – The Health Insurance Portability and Accountability Act (HIPAA), is applicable to a company or business that deals with patient data. It sets the standard for protecting sensitive information. If the software is intended to handle, incorporate or document Protected Health Information (PHI), you should ensure that all the required physical, network, and process security measures are in place and followed. FISMA – The Federal Information Security Management Act (FISMA) is a United States federal law passed in 2002 that made it a requirement for federal agencies to develop, document, and implement an information security and protection program. NIST Special Publication 800-53 – NIST 800-53 is recommends security controls for federal information systems and organizations and documents security controls for all federal information systems. Have a plan right from the inception of the idea. This plan can evolve and change during the process, but it must be at the forefront to assess strengths and weaknesses of the project. This is the first and supremely important step. An initial and constant examination of the progress, advantages, disadvantages and performance of the project will ensure that timelines, budgets and costs remain as initially planned. This is where the project comes to life. The basic structure is developed and the architecture of the project is materialized. The design of the project will set the standard for the rest of the development phase. It will also help to identify and fix any flaws through the adoption of certain prerequisites. This is the phase where the software is being physically developed, processes are being followed, and integration is occurring, along with a pilot launch that analyses the workings and ensure they are reflective of the assigned standards. Testing is undertaken repeatedly to identify flaws, fix any potential bugs in the system, gauge quality and identify the smoothness of functionality of the software. This final stage is often neglected, but it is highly significant. The process of maintenance and upgrade is one that will define the life of the software and its ability to adapt to the changing requirements of users. Looking for a Software Solution? We have built advanced solutions for several customers. An EHR-integrated remote health platform to seamlessly connect patients to the providers and approved by HIPAA and HL7 standards.